"Man..yall stay on Rapsody's [figurative] balls..bet she gonna get another 5 Tape rating." First off, fall back playa. If you claim to be a hip hop head and can't appreciate what the young emcee is doing, then this is where you can get off (get off like from an elevator or car..not get off like..never mind). Since her feature in Kendrick Lamar's To Pimp a Butterfly, Rap's stock has been exponentially rising. But the NC native has been laying bars "professionally" since about '08, dropping her first solo mixtape Return of the B-Girl in '10 (under 9th Wonder's Jamla Records). This summer, during the 2016 Brooklyn Hip-Hop Festival, Rap made the statement that will change her life forever: "I'm Jamla/Roc Nation". This joint venture will expose Rapsody to whole new demographic of listeners. And I'm sure that there are those haters who think she "sold out" and that her lyrics will suffer because she'll have to dumb them down to appeal to mainstream/radio markets. But the hip hop Tina Turner breaks out the gates under the Roc Nation umbrella with the Crown EP (some sites call it a mixtape, but Ima go by what her website calls it and by the track "Mad" that states: I call my EP Crown) for all the skeptics. 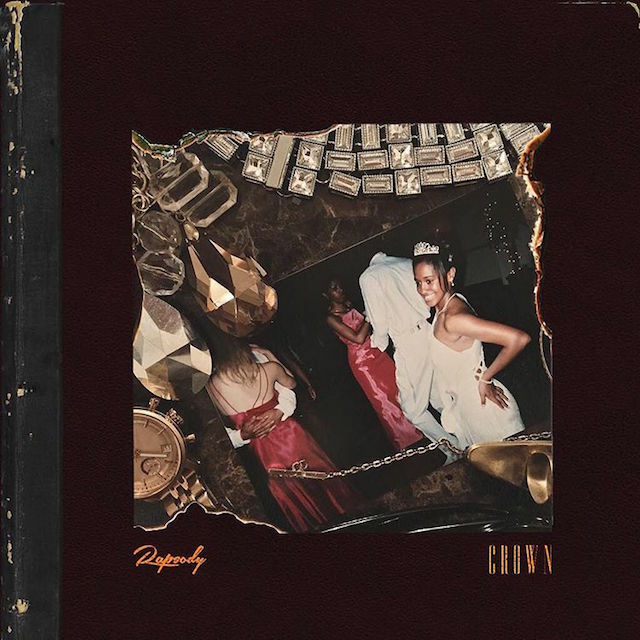 The intro/titular track, "Crown", starts off with Rap delivering bars spoken word-style over a simple piano instrumental provided by Eric G. At the 1:20 mark the beat does a 180 into a 9th Wonder boom bap beat. Rap picks up her flow and provides the energy needed to compliment the switch up. The intro sets up the 2016 "Keep Ya Head Up" type theme found throughout the whole album, focusing on positive messages: pride, self worth, love, empowerment, and never settling for what other people say is your limit. I was racking my brain to come up with one or two more tracks that I wanted to highlight, but the truth is that would be a disservice to Rapsody and to you. Once again, Rap has crafted another statement record. Those that thought Rapsody's Roc Nation merger would water down her content will be pleased with EVERY track (if you've been a Rapsody fan that is). She still takes on her particular subject matter found throughout her catalog, but updates her metaphors to make each track relevant. And once again we have to acknowledge the mastermind 9th Wonder and his Soul Council for yet another flawless beat selection. It's crazy to think that I reviewed Rapsody's first LP, The Idea of Beautiful 5 years ago (I pre-ordered the album and even got it signed..priceless) . We didn't even have our tape rating system in place yet. But best believe, the only thing missing from my review would be the perfect 5 Tape rating. With her Crown EP, we are witnessing a star about to take the game over. Kendrick Lamar and J. Cole are the two emcees that are constantly referenced when taking about the new wave emcees who are socially conscience and repping hip hop the right way (with commercial success). But for the last 7 years (crazy to say that out loud) I've put Rapsody in the short elite list. So do yourself a favor and peep the powerful Crown, and you'll come to the same conclusion. Culture over everything. Oh, and yeah, Rapsody gets ANOTHER 5 Tape review.